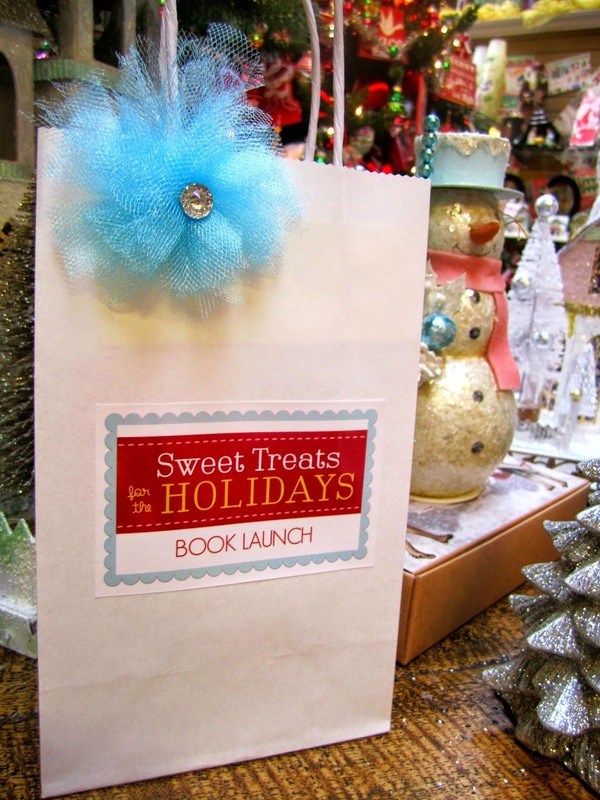 Sweet Treats for the Holidays by Party Pinching book launch. 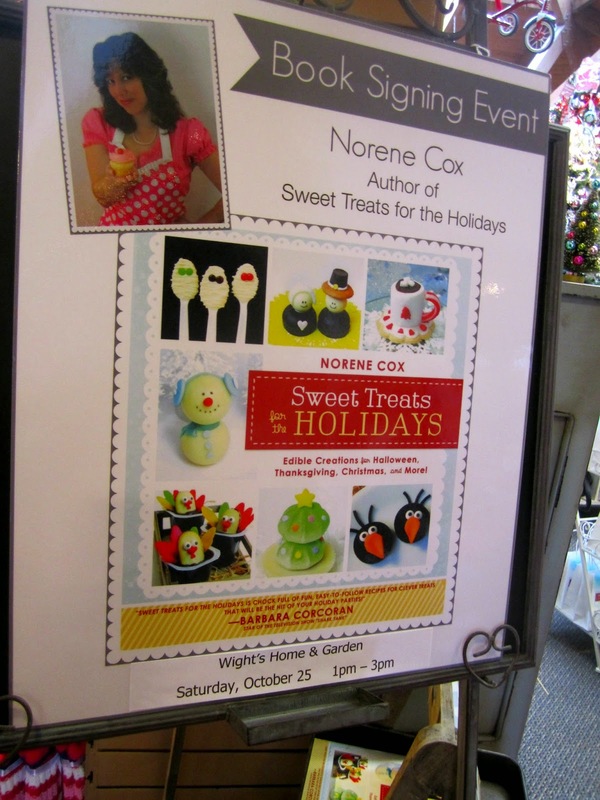 Saturday I drove up to Washington to attend the book launch of my dear friend Party Pinching's first book. It poured the whole way up and back but it was worth driving through. Plus being from Oregon, we're born with rain boots, it's just liquid sunshine. 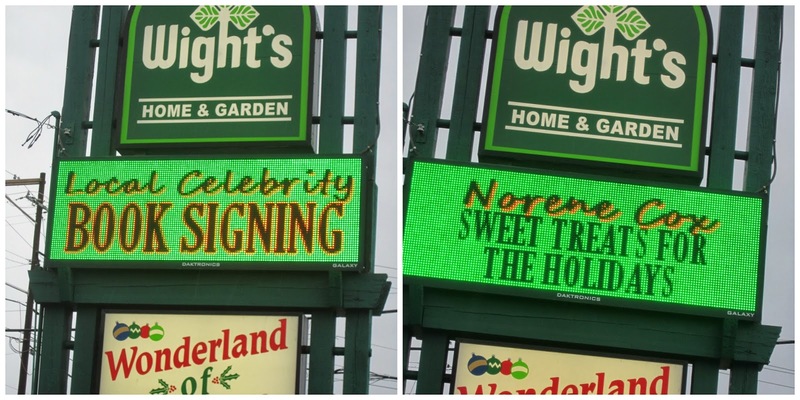 The book signing was at Wight's Home and Garden Center. My friend, a local celebrity. I know a CELEBRITY!!! How cool is that?! How cute is this display! Everyone who bought a book got a goodie bag filled with a coupon for Wight's, a cookie, a bag of sixlets, a book mark, and a cute mini cupcake charm. 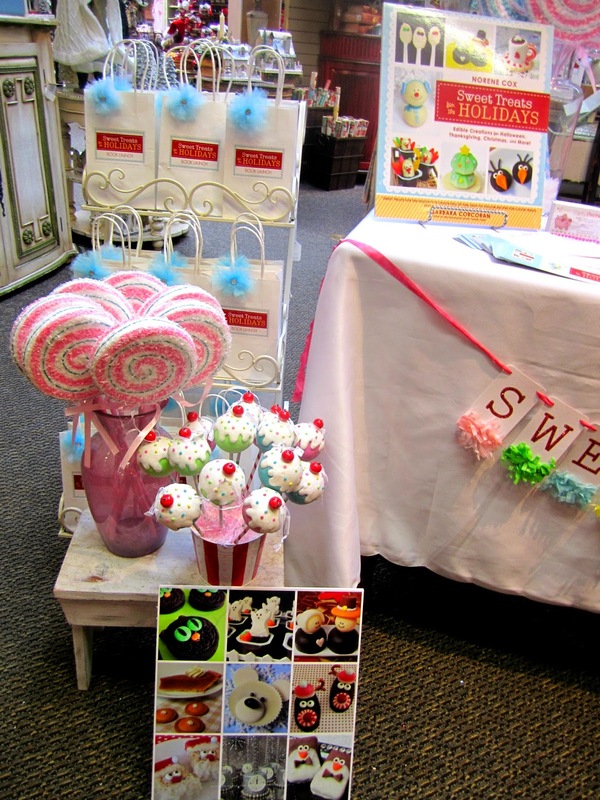 The Purple Pug's Sweet Treats banner was a perfect touch for the table display. 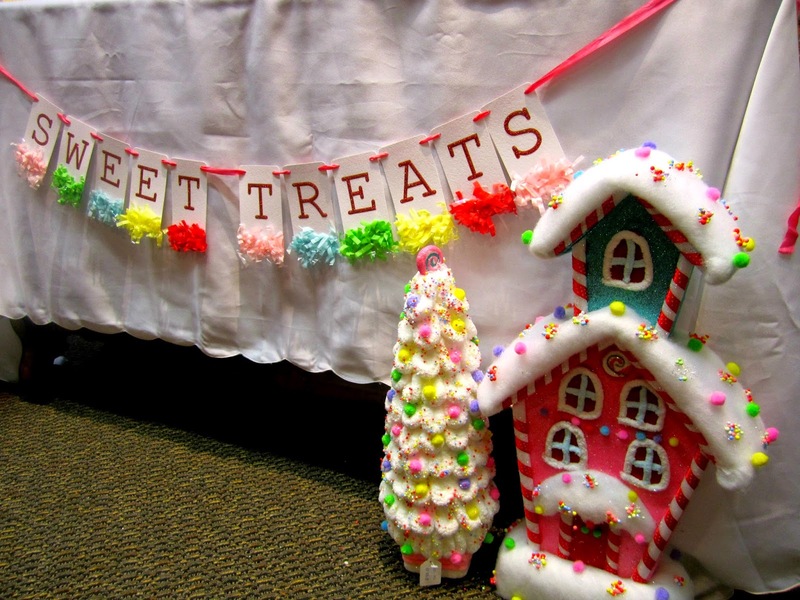 Candy tree and house available at Wight's. Sweet Works provided candy for attendees to enjoy. 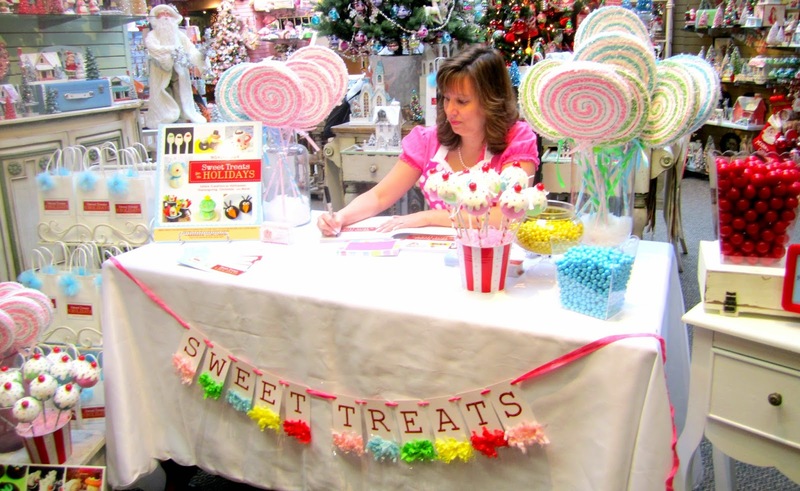 When Party Pinching contacted me to make tulle rosette's for her book launch I was honored to be a small part of it. They look so festive on her goodie bags. 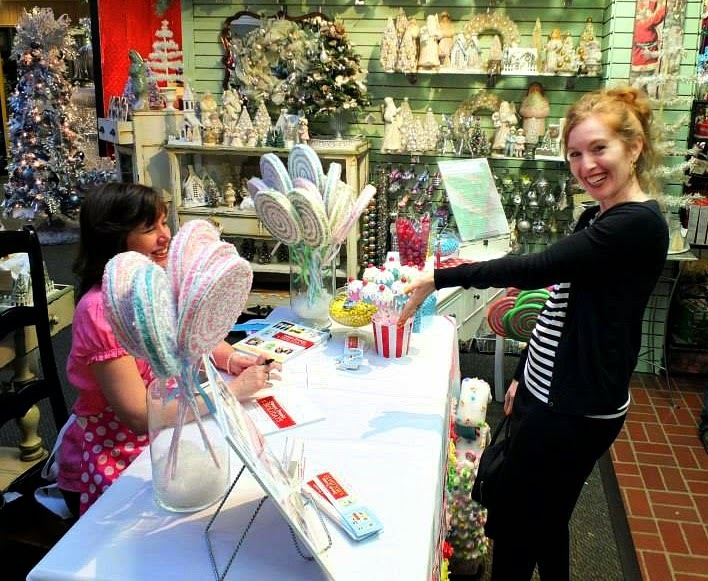 Sweet Treats for the Holiday's SOLD OUT at Wight's on Saturday. You can get a copy on Amazon. 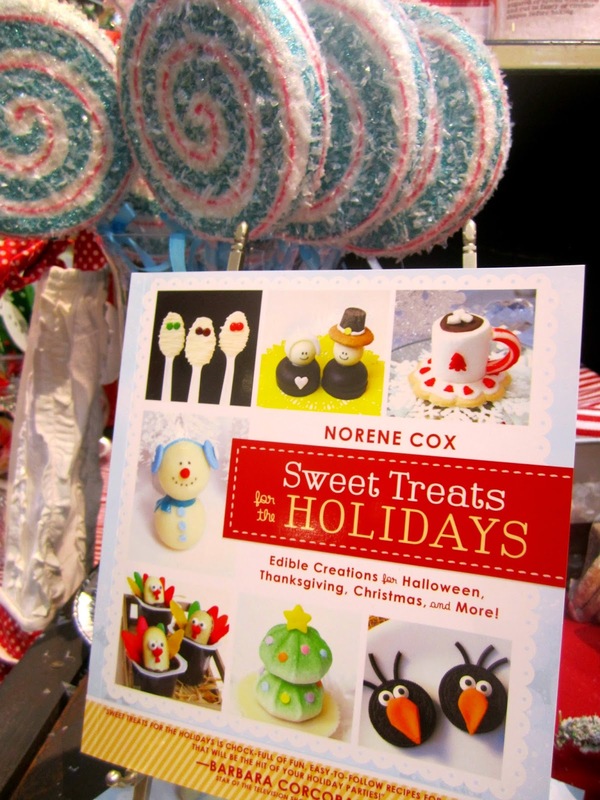 This book makes a great holiday gift. All the adorable creations inside are all made with store bought food and are easy for kids to make. I can't tell you how much I appreciate not only providing all of the rosettes, but for you road tripping all the way up from Portland for little ol' me. You are the SWEETEST! Love you! My pleasure! The rosettes look great on your bags. So proud of you! And your book is filled with so much adorableness. Love the tulle rosettes and it looks like it was a great event! Thank you! The rosettes do look great on her swag bags. Party Pinching had a great idea with those. The event was a great turn out. I love that this book has ideas for Thanksgiving. I often feel like that holiday (my favorite!) is overlooked for these types of things! Looks like a great book and sounds like you're a great friend! Your rosettes are so cute! And congratualations to your sweet friend! Ann, Norene made those swag bags so adorable! You are going to LOVE the book. Everything in the book you don't have to cook to create. Just buy store bought items, follow the directions and BAM! you have super cute desserts. Enjoy! It looks like everyone had lots of fun! 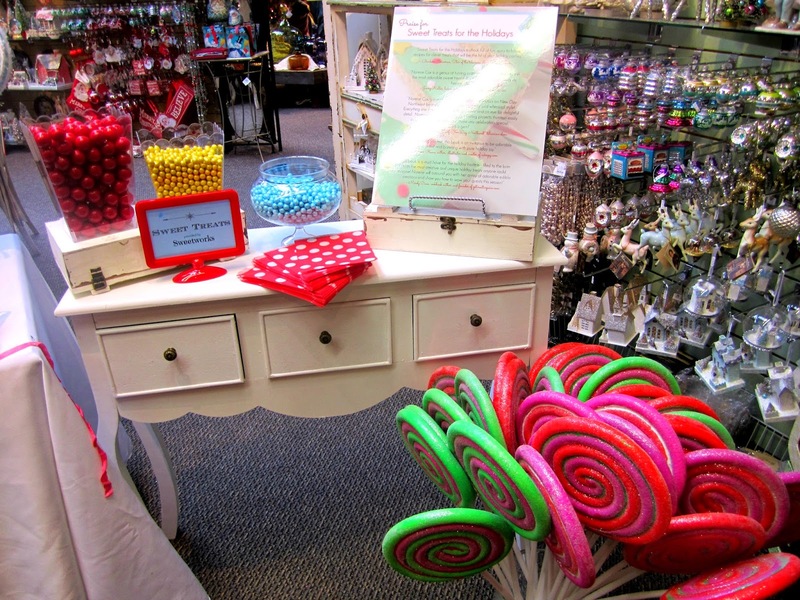 All that candy looks so yummy!